Great photography is not just about great equipment. If it were, anyone with an expensive DSLR could offer to take business photos on the Sunshine Coast. No, great photography is about knowing how to perfect the photos after they are taken. Any good photographer will tell you that to get the best photos, they will spend at least as much time in post-production or post-processing, as they do setting up and taking the photos. It takes years of experience using Photoshop or Lightroom to create the best results. And our lead photographer Ric Tan has over 22 years’ experience in that area. He started using Photoshop in 1995, the year after he got his first film SLR. (It would be another 4 years before the digital SLR was invented). By taking multiple photos of exactly the same scene at different exposures, a good photographer will be able to capture the detail in both the brightest and darkest parts of a scene. This technique is called bracketing. It allows the photographer to then merge the photos in software like Photoshop to create a High Dynamic Range (HDR) photo that shows all the wonderful detail in highlights and shadows that will set your business ahead of the rest in your customers’ eyes. When it comes to creating images with high dynamic range, photo spheres used for VR experiences and Google Street View tours of your business are no different from standard photos. 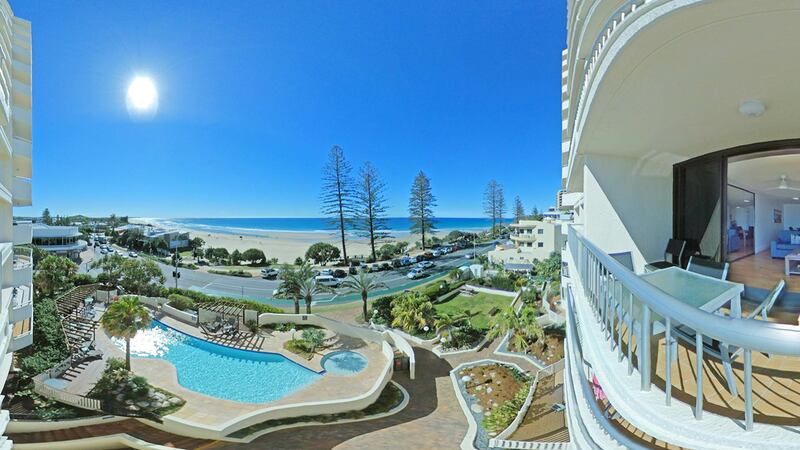 For every photo sphere that goes into the virtual tour of your Sunshine Coast business, we take as many as 9 photo spheres at different exposures. This allows us to capture the atmosphere from the flickering of candlelight to the playfulness of soft fluffy clouds. The HDR photo sphere will also show the view outside your window, even if it’s a lot brighter than it is inside. And while we’re in Photoshop, if we see blemishes on your walls or carpet, we’ll remove those too. We even removed some rust and stray items in a recent Google Street View tour. On the day that our Google Street View Trusted Photographer arrives at your business, it’s best to have your business looking its very best. If there are things that have been left in the picture that shouldn’t be there, just let us know before we leave and we’ll remove those things in Photoshop at no extra charge. Just like colour-correcting and making HDR photos, this is all part of our service to you. Our business is all about making you look great. So if you don’t look great, we don’t look great.